​Jean Craighead George books about outdoor adventure are familiar favorites. I just added The Trail by Meiko Hashimoto to that list. ​After his parents’ divorce and a permanent move to live with his grandmother Toby sure needs a friend and he found one in Lucas. Toby and Lucas do everything together, build forts, battle with stick swords and watch tadpoles make the miraculous transformation into deep-throated bullfrogs. Their favorite summer activity is camping behind Toby’s grandmother’s house. Lucas is the risk-taker “chasing adventure wherever it went”. Toby is the follower who believes bad luck pursues him wherever he goes. ​As another summer stretches before the boys they decide to change up their “off school” time and so they develop THE LIST, 10 things to do before starting middle school in the fall. With enthusiasm the boys complete each one on the list until #9 and then Toby is on his own to complete #10 to fulfill the promise the boys made at the beginning of the summer. 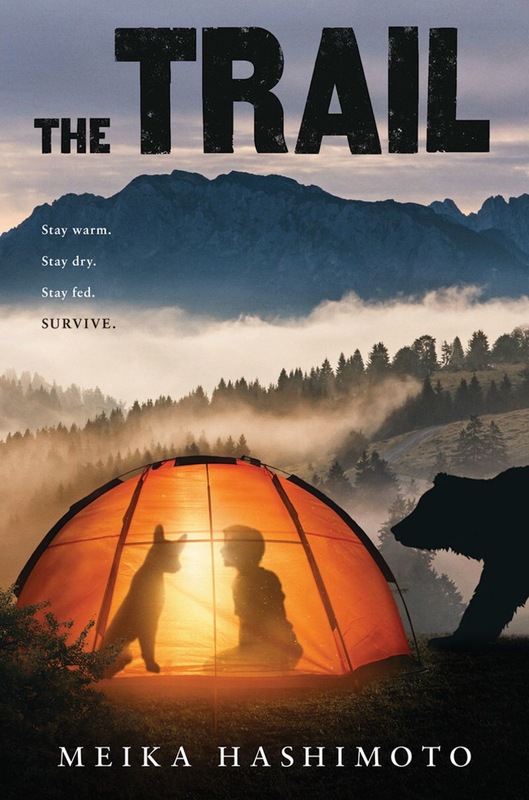 ​The story is one of physical obstacles, friendships lost and found and a boy’s determination to make his “own trail”. ​I believe this read would complement a classroom’s selection of adventure books, provide thoughtful discussion and interesting writing activities.